Eleanor Prentice, 87, of New London, died Thursday, March 21st at GlenOaks Personal Care Suites in New London. Her funeral service will be 2:00 pm, Sunday March 24th at Faith Lutheran Church in Spicer. Visitation will be one hour prior to the service. Burial will be in Lake Andrew Cemetery near New London. Arrangements are with Johnson Funeral Home, New London. Eleanor Mae Prentice was born May 6, 1931, in Cylinder, Iowa, to Daniel and Anna (Twait) Bleckwenn. She was the second of five children. She grew up on their family farm and attended Cylinder Consolidated Schools, graduating in 1949. She was united in marriage to Glenn Prentice on June 5, 1949. They moved to Spencer, Iowa. She worked at the Beehive Boutique. In 1963, they purchased and moved to a farm near Storden, Minnesota. She was very active in their church and felt that she made wonderful, lasting friendships while there. In 1970, the family moved to New London, Minnesota. She worked for First State Bank as a proof operator and teller. Eleanor and Glenn built Hillcrest Truck Stop in 1978, and Eleanor helped with management of the restaurant as well as the bookkeeping for their gravel and trucking business and a farm they purchased near New London. Glenn entered a nursing home in 1999, and she spent many hours with him there until his passing in 2007. She remained in her home until 2016, when she moved to Glen Oaks Apartments. 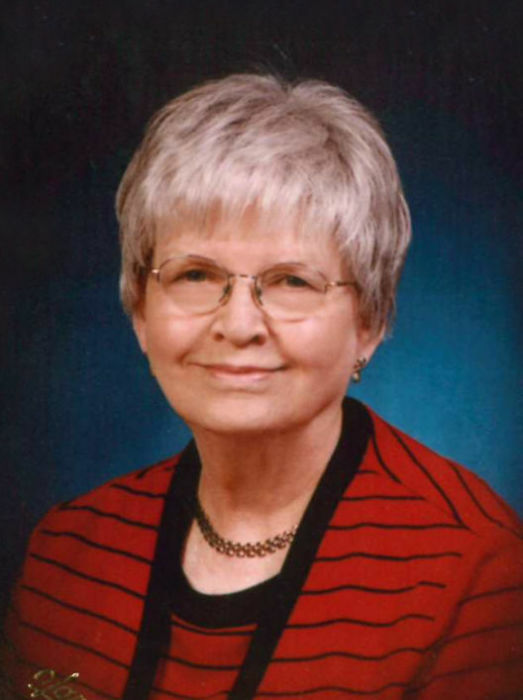 She was a member of Faith Lutheran Church in Spicer. She enjoyed cooking, baking and being hospitable to all. She loved crossword puzzles, sudoku and seemed to know all the answers on Wheel of Fortune. Eleanor lived life devoted to family and giving her all in everything she undertook. Eleanor died Thursday, March 21st, 2019, at GlenOaks Personal Care Suites in New London. She is survived by her children: Richard (and Cathy) Prentice of New London, Larry Prentice of Hawick, Linda Stai of New London, Barbara (and Kevin) Geer of New London, Anne (and Glen) Barfknecht of Grand Rapids, MI; 18 grandchildren, 32 great grandchildren and three great-great grandchildren; several nieces, nephews and other relatives. In addition to her husband, she was preceded in death by her son, Ronald in 2010; granddaughter, Emily; son-in-law, Scott Gandrud; brother, Virgil Bleckwenn; sisters: Doris Kunz, Therese Umscheid, Donna Baldwin.